Some relationships aren’t ready to go public, and we totally respect that. 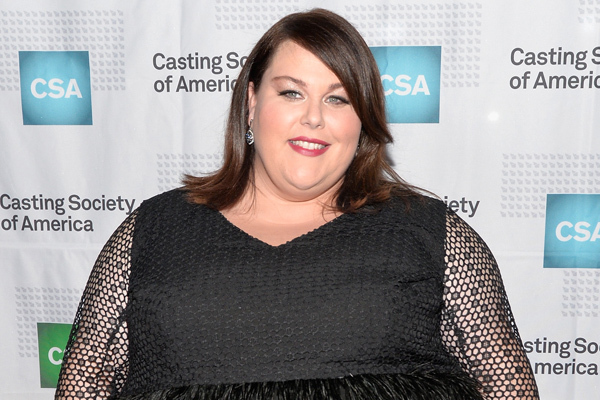 Actress Chrissy Metz is planning to keep her boyfriend secret until she’s used to fame and it makes a lot of sense. On Thursday, Metz attended the 2017 Artios Awards in Los Angeles and couldn’t help but gush over her boyfriend. Who is this guy, you ask? Well, he’s a secret…at least for now. The This Is Us actress revealed that although love is clearly in the air for her, she’s not ready to share him with the world…or introduce him to the Hollywood scene just yet. "Oh my God it's going great. It's going great,” Metz told People on the red carpet. "I can't imagine how it must be to date an actress. So God bless him. God bless him." The 36-year-old actress has been keeping her beau hidden as of now, but it’s not because she’s worried about how he’ll deal with her lifestyle. It’s actually because, she’s still getting used to the fame from her NBC series herself. “I’m just weaning him in, as I’m weaning myself in,” she explained. "It's a lot. It's a lot of undertaking. I'm not going to be able to pay attention to him," Metz continued. "I'm like, 'Babe, sorry, sorry. Just a second babe. Hold on babe.' Eventually it'll be like a no-brainer." Just because the Florida native wants to wait a little bit to adjust to her TV success, she won’t be keeping her man away from the limelight for long. Keeping your private life actually private is really hard in Hollywood, so we give props to Metz for staying strong and working on her romance before making it public.